There is a difference between confessing Jesus Christ as Lord and accepting as Lord. In American evangelical Christianity, some variation of “accepting” Jesus is offered as the hallmark of conversion. Getting saved is often associated with asking Jesus to be our Savior or — more commonly — accepting or receiving him as such. I’ve always been uncomfortable with the active verbs here. It has always felt like we are doing Jesus a favor. To confess Jesus as Lord and Savior is an entirely different thing. When we confess, we state what is true. To use a contemporary common example, we a person confesses a crime, they are simply stating the truth that they did such and such things. The things happened whether the criminal confesses it or not. To confess is to acknowledge what is already the truth, even if unknown to others. To confess Jesus Christ as Lord is to say that Jesus is Lord whether I acknowledge it or not. I am just now coming around to acknowledge that truth. This strikes me as theologically and practically important. We Christians proclaim the good news that Jesus Christ has defeated death and broken the power of sin and that he will one day judge the world. This is not a claim that he will judge those who have accepted him. It is a claim that he will judge the world. When we confess that Jesus Christ is Lord and Savior, we are proclaiming this truth. At the risk of putting it too strongly: Jesus is not my savior. He is THE savior. It is because of this, that I shy away from the traditional sinner’s prayer. It is not that I think new birth is unimportant, but because I think new birth is not about us “accepting” Jesus Christ as our Lord and Savior. I think, rather, it is about a work of the Holy Spirit in us. It is the Spirit opening our blind eyes to the great truth of Jesus’ love and lordship. Perhaps in response to that new birth we might utter words very similar to the sinner’s prayer. Perhaps in seeking to have that new birth we might utter that prayer. But unlike Joel Osteen, I don’t believe the uttering of those words is the same as being born again. The Spirit blows where it will. What we need to be given is the gift that allows to confess from the depth of our very soul the great truth. Jesus is Lord. Jesus is savior. Jesus loves me, even me, and died so that I might live. *The standard of judgment appears to be how we have lived rather than what we believe or say, which opens up for me lots of interesting questions that would derail the simple point I want to make here. The knotty question: Who is a Christian? David Platt caused a stir in the Southern Baptist Convention recently with his criticism of the Sinner’s Prayer. Platt now has responded in an attempt to clarify what he said and did not say. Included with his comments is the text of a sermon he delivered about authentic conversion. At the core of his concern is that the Sinner’s Prayer is not actual conversion. In his sermon, he highlights examples of “good” Christians who fell into the trap of thinking they knew Jesus when they did not. Tom’s testimony reminds me vividly of John Wesley, who would say that before his Aldersgate experience he did not have the faith of a stone even though he was a priest who pursued holiness with great earnestness. Wesley’s story and Tom’s story are hugely challenging and inspiring at the same time. Our congregations are full — to the extent we can describe them as full — of men and women like Tom. We have so many people whose confidence is in their outward works. And make no mistake, they are good people who are sincere in their desire to be good Christians. But John Wesley and David Platt would say they are “almost Christians.” They have not been converted to Christ. 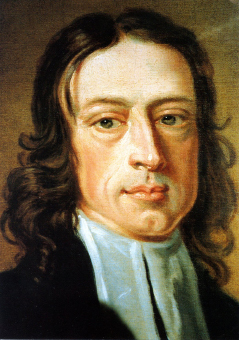 This is a fundamental issue in the United Methodist Church’s love-hate relationship with John Wesley. If we take Wesley seriously, we find him saying lots of things that we would not want repeated in our congregations. He would tell a lot of our most stalwart church members — and vast numbers of our clergy — that they are not really Christians, despite what they think. I missed this debate happening as part of the Calvinist kerfuffle within the Southern Baptist Convention. The SBC passed a resolution affirming the Sinner’s Prayer and pointedly rejecting what the convention sees as a Calvinistic objection to the prayer. The story here includes a text of the resolution and an explanation of the issues. As a Wesleyan, I affirm the prayer so far as it is a prayer of earnest seeking after forgiveness. As the SBC resolution states, the words mean nothing in themselves. They are not a magic incantation. I agree that the moment we have true faith in Jesus Christ as Lord and Savior we are saved. But I do not affirm the “once saved always saved” theology of the SBC, which is in the story but not the resolution itself. It makes me wish we’d had a similar debate at our recently concluded General Conference.